Have You Downloaded the AMFA App? Women have worked in aviation for more than a century. In the 1920s, Pheobe Jane Fairgrave Omlie, a young, vivacious female aviator, became one of the most famous women in the United States as an American aviation pioneer. Omlie enjoyed the thrill of flying and performing stunts, skydiving, and racing. She was noted for her accomplishments as an early female aviator. Omlie was the first woman to receive her mechanic’s license in 1927, and became the first licensed female transport pilot, the first woman to receive a commercial pilot certificate and the first woman to be appointed to a federal position in the aviation field. Omlie was later appointed by President Roosevelt as the “Special Adviser for Air Intelligence” to the National Advisory Committee for Aeronautics. When WWII began, Omlie established 66 flight schools in 46 states, including a school in Tuskegee, Alabama, that would later train the famous Tuskegee Airmen as well as an “experimental” program specifically designed to train women as instructors. Her contribution to the aviation industry is inspiring, however, today, the FAA documents trends in the number of women in the aviation industry. While some major airlines in the United States have seen an increase in the number of female aircraft maintenance technicians (AMTs), this trend is not consistent across the industry. FAA reports still show that women make up just over five percent of the male dominated AMT workforce. With companies wishing to hire a more diverse labor workforce, the opportunity for women to enter the aviation profession is great. At the 2017 and 2018 Aerospace Maintenance Competition, United Airlines sponsored an all-female team, “Chix Fix,” to compete against other airlines, some of which were all-male teams. The “Chix Fix” team included female AMTs from around the country and their participation was intended to encourage and inspire more women to enter the aviation field. I’ve personally had the pleasure of working with females during my career as an AMT, and their skill, dedication, and professionalism toward the craft is second-to-none. We need to encourage more females to choose careers in aviation, and I look forward to working with all skilled professionals who join our craft as AMTs. Over the years there have been many misconceptions regarding the Aviation Safety Acton Program (ASAP) leading to the misunderstanding of the program’s purpose and procedures. At times, all that’s needed to clear up these items is a simple phone call or email to one of your ASAP representatives. The purpose of this article is to help further explain the Program. Due to the past operation of the Program, one of the prominent misconceptions is that it is a “get out of jail free,” or an “amnesty” program. Your AMFA-SWA ASAP representatives at SWA must adhere to the current Memorandum of Understanding (MOU) in order to stay consistent with the true intention of ASAP, which is a change to the past culture of the Program. Please understand that your current representatives are following the procedures as prescribed in the MOU, even if it may be a change from past practice. The true intention of ASAP is for individuals to voluntarily report safety information that may not otherwise be known, thus giving the FAA and airline data to aid in improving safety. For the reporting of this information, the individual is afforded the benefit of protection from certificate action from the FAA or punitive actions from the airline. The AMFA ASAP Representatives are available to the membership 7 days a week, 24 hours a day and have a difficult double-sided job. We provide representation for the individual, but must be able to also balance safety. We investigate events, interview witnesses, and speak with reporters. By speaking with the reporter, we can better understand what happened, and sometimes we get more information than what was submitted in the report. It is imperative to be honest with us at this time and do not keep anything back that may be of importance! Your ASAP Representatives then attend an ERC Meeting, which is scheduled as a full day meeting to prevent rushing through the events. The ERC is composed of three participants: Union, Company, and FAA. Each individual of the ERC is trained in the ASAP and is familiar with the MOU. Each member has also signed a statement of confidentiality, stating what is seen or discussed in the meeting stays in the meeting. During the meeting, the event is displayed and discussed. If there are any questions remaining after all discussions, we “table” the event for the next meeting, allowing us time to acquire more information. The ERC must come to a consensus (agreement) of acceptance or rejection of the ASAP report. When a consensus is achieved, the ERC will discuss any corrective actions needed from the Company or the reporter. If the reporter has corrective actions to complete, they will receive an email from the ERC stating the event is tentatively accepted, pending completion of the training. If the corrective action has not been completed, the event can be reopened and rejected for incompliance. Upon completion of the corrective actions, the reporter will receive an Event Closure Letter via email. If a consensus is not achieved, we discuss what is causing the non-consensus. If we cannot agree, the FAA has the final say in the matter and can call for rejection. If rejected, all the information gathered is made available to the FAA, and if the event is a violation of 14 CFR, they may open an investigation. Additionally, the Company may discipline the individual on a rejection. One of the highest causes for rejection is time: the initial 24 hours is the most important deadline! Your 24 hour clock starts when you are reasonably aware of the event. If you are ever in doubt you should call the ASAP Hotline, then contact your ASAP Rep immediately! How many times may someone file an ASAP report? There is no limit on how many times you may file a report. What can you file an ASAP Report on? Any item that has a possible safety or compliance issue under 14 CFR that is unintentional, does NOT involve the big five (substance abuse, controlled substance abuse, alcohol, intentional falsification of a document, or criminal activity), and reported within the prescribed time limits of the ASAP may be submitted. This also includes possible errors in manuals, task cards, and EAs. For any other safety-related concerns, your report can be referred to the SMS program. Again, contact one of your ASAP representatives with any questions. Who do your ASAP Representatives report to? As system-wide elected representatives of the AMFA–SWA members, we report only to the National Safety and Standards Director. We do not report to the LECs, ALRs, or Area representatives. Your ASAP Represenatives will not discuss an event with anyone, even if the reporter says it’s okay. In closing, any time you have a question or a concern that may require ASAP, please contact one of your ASAP Representatives via phone, text, or email. We are the only ones who have the experience to help you with any misconceptions, wrong information, or questions regarding the ASAP. The Aircraft Mechanics Fraternal Association (AMFA), Local 14 is holding its annual holiday toy drive to benefit the Eastside Baby Corner (EBC) — a local non-profit organization that helps kids thrive by providing basic necessities for children. "I am so proud that we have been able to partner with a local children's organization for the past five years," said Keith Jenkins, Local 14 President. Local 14 is requesting items for children ages birth to 12 years including high need items like clothing, especially coats, shoes, socks, bedding, diapers and formula. 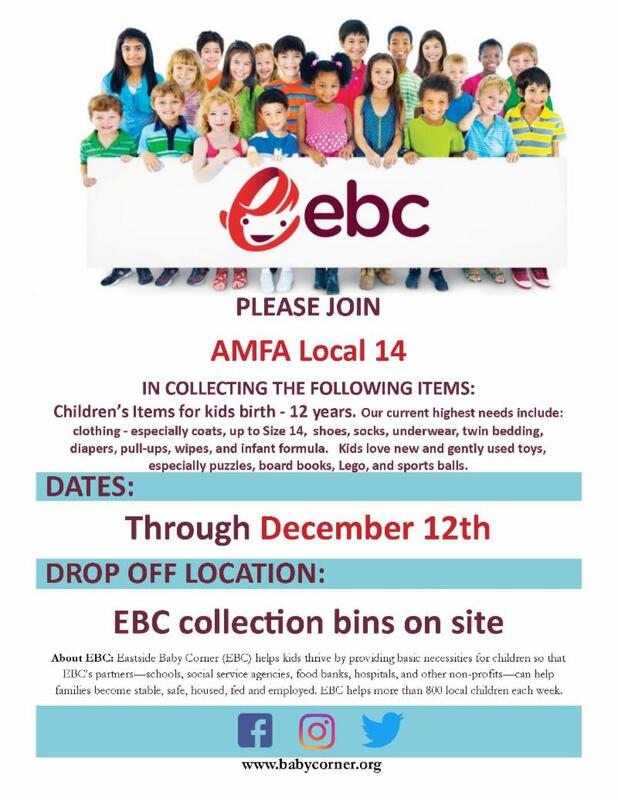 AMFA's NEC encourages you to join Local 14 in giving back this holiday season, whether it be to the EBC through Local 14's collection bins, online at their website at www.babycorner.org or through your own local or community led holiday clothing or toy drive. Over the last few months, AMFA members turned out in record numbers to vote down two tentative agreements: a Transition and Seniority Integration Agreement Referendum at Alaska Airlines (ASA) and a Tentative Agreement Ratification Referendum at Southwest Airlines (SWA). Both agreements were flawed. The Negotiating Committees will use your overwhelming rejection, and the most recent bargaining survey to go back to the table and renegotiate. It is amazing how the human brain works. We often remember moments in time differently. Our memories of events aren’t always accurate, or they fade with time. Because of this innate human flaw, it is important that we take notes and save documents for historical reference to help us remember important events, and to keep facts from becoming fiction. These same documents are often used in our preparation for bargaining. When it comes to our careers as airline employees, information comes in many forms and from many sources, such as DOT rankings (flight delays, over-sales, mishandled baggage, consumer complaints, etc. ), SEC filings, Company Quarterly Results, and Annual Reports. Being that ASA and SWA are publicly traded companies, there are endless sources of information available. From a high-altitude perspective, the airlines are competitive in every way down to the bottom line. We must understand the airlines’ environment and be prepared to overcome the challenges and changes to our work environment. For example, during negotiations, the Negotiating Committee will compare the value of your work with other contracts in the industry to determine a value to your work. This is not always easy — work protections are varied in each Collective Bargaining Agreement (CBA). Enhancements to (or even maintaining) the current CBA are inevitably challenged in negotiations and it takes a well-prepared and supported Negotiating Committee to be successful. We must be well informed, not only from the perspective of our respective carrier, but about the industry as a whole. We must be prepared to choose our position and stand our ground for what is most important to the unified group. When everyone is involved, such as the high voter participation rate in the recent referenda, we will win. Building strong alliances, both internally and externally will help AMFA prevail. To that end, AMFA has been focusing on building up its communications channels with the other labor unions on property. For example, each quarter, AMFA’s leadership has been meeting with the leadership of SWAPA (Pilots), TWU 555 (Ramp), TWU 556 (Flight Attendants), Teamsters (Stores), and TWU 550 (Dispatchers) to discuss events from each workgroup and issues of mutual concerns or importance. Meetings like this provide an opportunity to see the big picture. We encourage all of our members to ask questions, stay informed and stay involved as we head back to the table. United we stand, divided we beg. 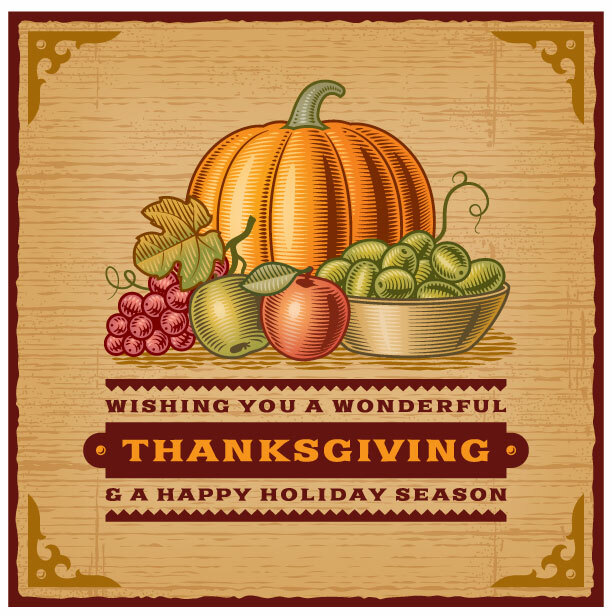 Have a Blessed and Safe Holiday Season. 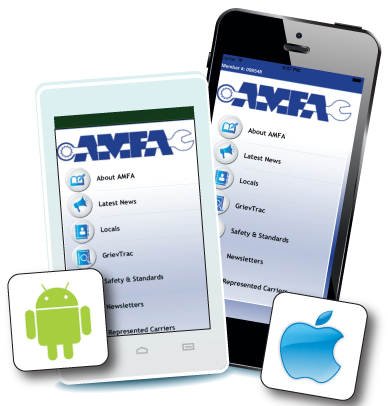 AMFA has a mobile device app for its members. Available for both Android and Apple tablets and phones, the app is a quick link to the latest news and information from your Union. With built in GrievTrac access, the app also gives our contract representatives private access to file grievances on behalf of our members. In addition to being a great tool to get Association news, the AMFA app is a quick and easy way for members to access their AMFA Number. The AMFA app is only available for download from the AMFA National Website; it is not found on iTunes. If you are unable to download the AMFA App and do not have your AMFA Number, please register with the AMFA National Website and/or request a replacement membership card today. Your AMFA Number is required to participate in Association elections, referenda, surveys, and conference calls. If you encounter problems registering with the site or downloading the app, contact the AMFA National Office for assistance.